This guide follows my earlier post on copper peptides. This post is about the best ways to use copper peptides and the things that you can do to optimise results. I won’t go into definitions here – I’m assuming you know what copper peptides are and what they’re commonly used for (wrinkles, scar reduction, hyperpigmentation, cellutite). If you don’t, scroll to the bottom of this post for a couple of links that can help you. Some people experience side effects from overuse of copper peptides (either through too much applied, too frequently, or both). These side effects include looseness of the skin and sagging or wrinkly skin. If you’re using copper peptides for the delicate under-eye area, be especially careful. Excessive use can also lead to irritation and skin redness. However, the good news is that these side effects are usually temporary and your skin will heal itself over a few weeks. Take Vitamin C and MSM to speed up the healing. With copper peptides, the old adage is true – less is more. 1. Be prepared to stick to a long-term commitment. Scar reduction through copper peptides is a long process of 8 months to a year. Unfortunately, most people get disheartened when they don’t see results within a few weeks and they stop. 2. Progress is slow, so take a ‘before’ picture. Because skin renews itself every 28 days or so, progress can come very slowly so that its not noticeable. So help yourself by taking a good ‘before’ picture and save it. If you’re feeling that there has been no progress after 2 months or more, compare your skin’s current state to the ‘before ‘picture. You might be amazed, and this will help motivate you to stay the course. 3. Keep your regimen as simple as possible. If you keep your regimen as simple and fuss-free as possible, there’s a higher chance that you won’t get tired of it. 1. Exfoliate. Skin renews itself faster if the top layer of dead skin cells are sloughed off regularly. Exfoliation also helps the copper peptides to penetrate more easily and deeply into the skin layers to target the scar or wrinkle. You can exfoliate cheaply with a microdermabrasion cloth, or use gentle peeling agents like salicylic acid or lactic acid. Go slow if you have skin that darkens easily with trauma. 2. Take regular breaks from CPs. Copper peptides are excellent for breaking down scar tissue but constant daily use will not give your skin time to rebuild healthy tissue in its place. Find a cycle that works for you. Such as 1st month use CPs, 2nd month take a break, 3rd month use CPs, and so on. If that doesn’t work for you, try a weekly cycle instead. Find what works best for your skin. The added advantage of incorporating regular breaks is that your skin will remain sensitive enough to copper peptides and you won’t build up a tolerance for it. You’ll notice that when restarting copper peptides after a break, your skin will feel much more tingly and you won’t need to use as much. 3. Take supplements to aid skin healing. I’ve already raved about the wonders of taking MSM before, and this time is no different. MSM coupled with Vitamin C will be especially helpful while you are on a copper peptide regimen. These two supplements will not only speed up skin renewal and healing, but the MSM will make your skin cells much more permeable to the copper peptides, making the whole delivery process much more efficient. How copper peptides works is quite complicated, and I do recommend that you learn as much as possible. Copper peptides require some understanding unlike other commercial topicals. Go to this page for an illustration of how the skin is remodeled with copper peptides. Here is an excellent history and summary abt copper peptides as well (Copper and Your Skin By William H. Dresher, Ph.D., P.E). 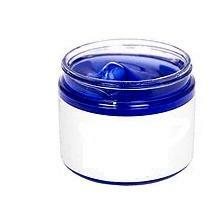 Copper peptides are found in many anti-wrinkle creams. However, they've been used for many years in hospitals to treat wounds, especially in patients with specific conditions like AIDS, where skin is much more vulnerable and heal slowly. Perhaps the most astounding property of copper peptides is their ability to lessen scars, no matter how old. MSM (or methylsulfonylmethane) is a natural sulfur found in fruits and vegetables. High-sulfur foods include asparagus, broccoli, red pepper, garlic, and onion. However, most people are deficient as sulfur in food is lost when processed, heated or dried. ive been using SkinBio’s cps for some time now (Supercop), and results are the best I’ve had with any topical cream. I’m surprised more people aren’t using it. How soon after having Fractional Co2 laser can I begin using CP serum? Thanks! i used to wash my hair with a shampoo, revita , including copper peptides and it was really very effective . Hi, i am using castor oil packs twice daily for severe acne scars. in your experience, do you think copper peptides would be useful in tandem with the castor oil? I’ve never used copper peptides together with castor oil (only separately), so I can’t speak from any experience. I haven’t read the skinbio website recently, but I recall they mentioned using oils on top to push the copper peptides in deeper. You could try and see if it helps. I bought a glycolic acid peel kit from Medpeel, and it came with a ‘daily collagen complex ‘ serum which contains a ‘copper complex’, I applied it on about 6 occasions over 2 weeks, when I noticed sagging and crepeness under my eyes, so I stopped using it – that was 4 weeks ago, and there is still no improvement – does anyone know how long it takes for the skin to recover from copper peptides, or is my skin permanently damaged? Thank you.